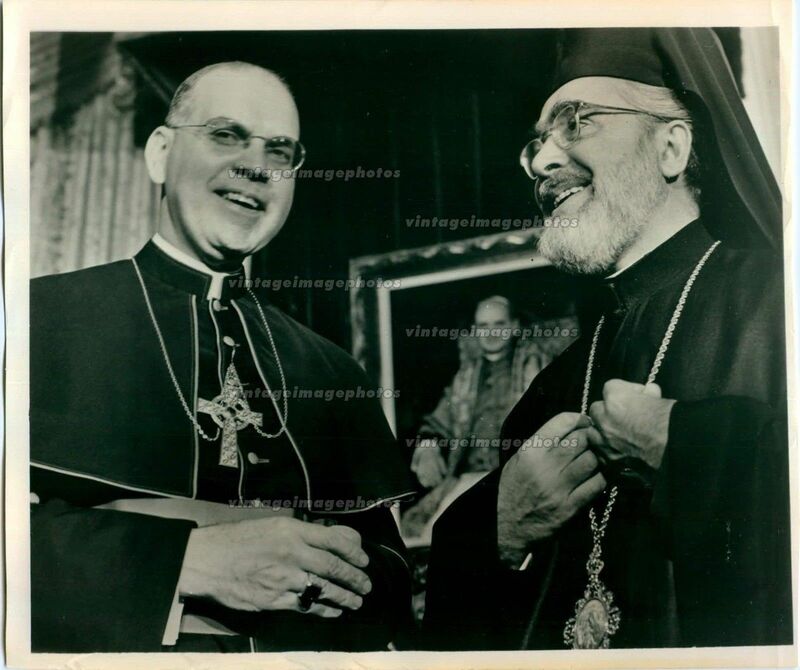 Archbishop Terrence and Archbishop Iakovos in 1968 at St. Patrick's Cathedral. In New York City, the night of the murder in Memphis, Greek Orthodox Archbishop Iakovos was giving a reception in Orthodox headquarters for the newly-installed Roman Catholic Archbishop Terrence J. Cooke of New York, when word of the death of Dr. King was received. The two prelates went to the adjacent chapel and, kneeling side by side, led hierarchs representing several Orthodox jurisdictions in America, and newsmen, in reciting the Lord's Prayer. Then Archbishop Cooke prayed: "Dear Lord, we ask you to receive the soul of Martin Luther King, who in his days on earth did so much to give leadership to justice for all. We pray that the ideals he struggled for, the ideals he gave his life for, will be realized soon so America will be one, at peace, where liberty is given to all." Archbishop Iakovos said, "As Christians we should be wiser and more responsible in our actions. Martin Luther King was the symbol of a justified struggle for civil rights." He also recalled his participation in the 1965 Selma march, saying that it was an "opportunity for realizing Dr. King's greatness." Source: The Living Church, "Churchmen React to King Murder", Vol. 156, April 28, 1968, p. 7. Read also: Archbishop Iakovos and Martin Luther King Jr. 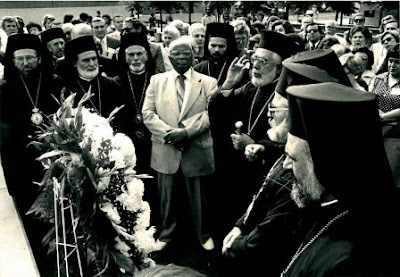 Orthodox hierarchs at the grave of Martin Luther King.